The question was, where would I want to eat if it was one of my last few days on this planet? On one of my last remaining nights in Sydney, a friend of mine and I went for dinner at a place I’ve always wanted to try. 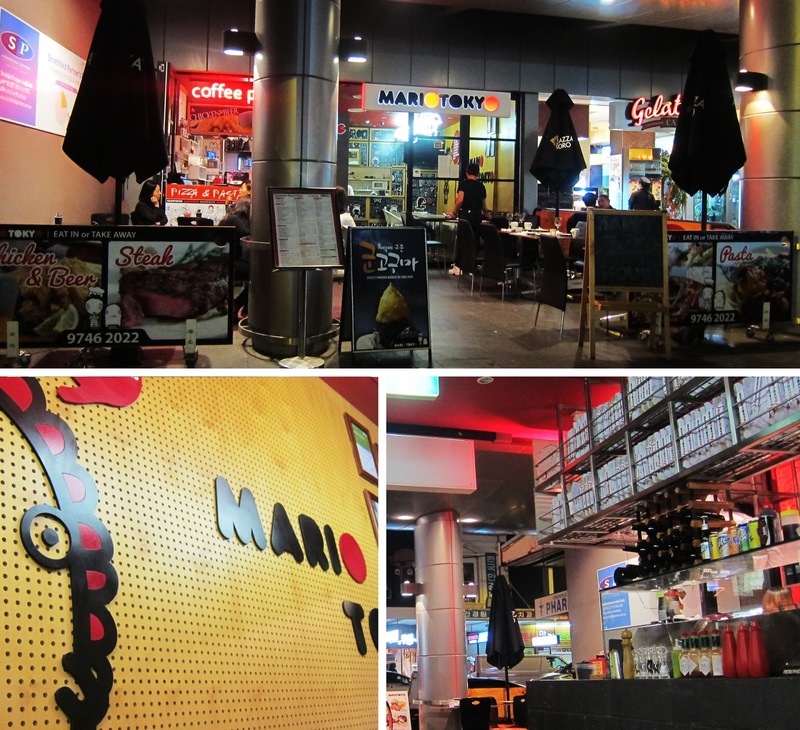 A fusion of Italian and Japanese, we have Mario Tokyo. Mario Tokyo is situated along the street directing straight towards Strathfield station. Our plans were to go for dinner at Mario Tokyo and head across the street to Hello Happy for dessert! Seated, we were the only two in the restaurant, with a few students outside on the patio – it was freezing this day! A retro feel of decor, red, black and white with graffiti-like drawings along the walls. We decided to go for the Couple set ($33.90), which consisted of and two pastas, risottos or pizzas along with two soft drinks. We added $2 each to replace our soft drinks with a lemon lime bitters of course.We also grabbed an entree for a nibble! The menu consisted of breakfast items, five types of bruschetta ($5~6), five entrees ($5~6), mains ($10~16) ranging from risottos, steaks, salads, pastas (there were also prawn and avocado spaghetti), pizzas (menu items either cream or tomato based), and even folded pizzas! In such a small portion, but I didn’t really mind as I knew I would get full quick anyway. The prawns were nicely seasoned with the ranch on side to dip. This creamy pasta was an incredible combination with prawn, squid, mussel, baby octopus, scallop, onion, oyster sauce and chili oil, you can taste each ingredient in this combo! They had plenty of toppings on the pizza options that I’ve never heard of! We decided to go for the oddest pizza on the menu, and we were absolutely glad we did! A thin base, layered with tomato sauce, mozzarella, wedges, sweet tender bulgogi and a drizzle of cream. This was delicious! There were also condiments on side (sriracha and ketchup)! We were here for a while… receiving our entree in 20 minutes and the subsequent dishes about 5-10 minutes between each other. Our waiter was super friendly, he checked up on us multiple times throughout the night. Mario Tokyo did not fail at all. I only wish they were in larger portions! Even though I only tried three items on the menu, I’m pretty sure they know how it’s done. Questionable items on the menu which you will not regret ordering!